Miley captioned the picture of Liam’s gift that he presented to her the day before her birthday. 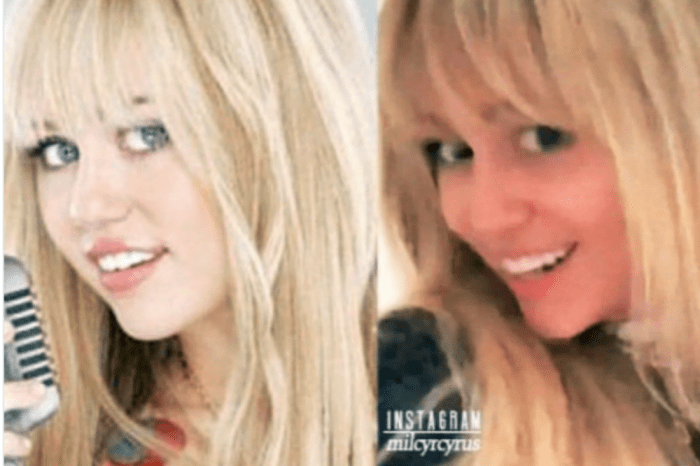 You can see the photo of Miley’s custom necklace followed by the throwback picture below. While everyone enjoys indulging in food on Thanksgiving, Miley has had more than one reason to celebrate. With Thanksgiving and her birthday, Miley shared plenty of photos, including one that caused people to leave rude comments asking if she was pregnant. Miley addressed the fans and called them out for being rude. Not only is it rude, but to try and make those types of remarks on someone’s birthday just isn’t cool. Miley isn’t stranger to critics, but it seems the rude comments have picked up recently. The singer was recently slammed for her choice of dress on the last episode of The Voice. Fortunately for Miley, she has Liam standing by her side and with a gift such as his nickname, it seems he wants to remind Miley just who the number one man in her life is. Who has time for haters when you’re with Liam Hemsworth anyway? A committed vegan, Miley shared a few photos that she hoped would encourage people to forego the turkey dinners and try vegan options. The first photo that she shared was the one that caused many people to respond with pregnancy comments. But what may be more remarkable in the photo then Miley’s bloated vegan tummy, is that if you look in the window pane, behind Miley, you can see Liam Hemsworth’s reflection as he takes the photo of Miley. Miley also shared a photo of a turkey along with a quote from Buddha and shared some options such as Tofurkey for those who don’t want to eat meat during the holidays. What do you think of Miley’s photos and Liam Hemsworth birthday gift? Did you leave a comment on Miley’s Instagram photos?